At first glance, news that an oil and gas company in Bridgeport is leaving its current location may seem like a bad thing. After a quick glance, however, it’s not nearly as bad as it seems. Percheron’s location in White Oaks is closing shop, but is not leaving Bridgeport. 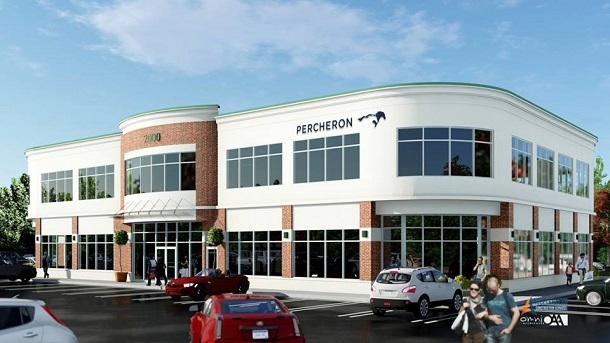 According to Lhag Bowers with Percheron, the company is relocating to brand new space. And the brand new space is in the city limits. Recently, a permit was filed for a $2.5 million new building at The Market Place in Bridgeport. The permit is for a 14,000 square foot, two story building – or 7,200 square feet per floor. The top floor has been leased, according to David Biafora, the head of Metro Property Management handling the development just past the entrance to White Oaks. The lease in question is for Percheron. That allows for a relocation for a third time in the city limits, said Bowers. “We've had a presence in Bridgeport for years, previously as Mason Dixon Energy, relocating from Cambridge place to White Oaks in 2012. Bridgeport is convenient for our staff and is a great community,” said Bowers. The moves have often been facilitated on need for additional space, downsizing or space better suited for particular needs. In this case, it’s primarily for space better suited and a bit of downsizing. 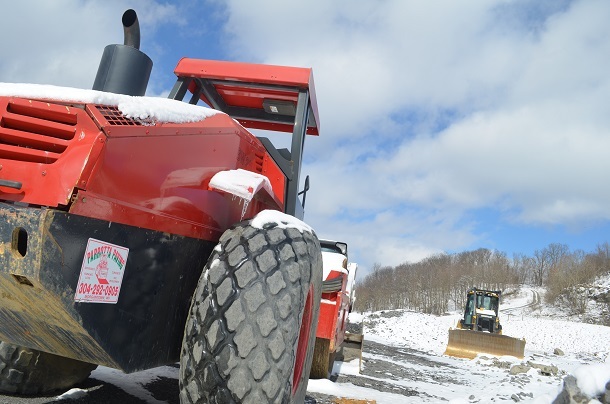 Bowers emphasized the space at White Oaks and the developers there have been nothing but cordial and cooperative in their dealings with Percheron. The space is currently being worked on. However, the move out of the existing space is taking place and temporary space will be utilized. Bowers said the company is taking furnished space in Grande Meadows, which is located across from the White Oaks entrance along Saltwell. “Some of our employees will be able to work from home during the transition,” said Bowers. What is it exactly that Percheron does? Biafora is excited about the latest project. He said machinery is already in place to get the building pad ready and before this month is over he said you’ll start seeing the bones of the building going up. “The structural steel is already ready manufactured and we plan to put the building up quickly,” said Biafora. Accelerated Construction will be handling the general contracting duties for the shell and buildout. Biafora said negotiations are already in place for the first floor of the building with other entities. Although he said he would prefer to keep the space for business clientele as it’s going to be Class A office space, he is open to anything. Right now, he said, a financial institution is looking at the first floor and is committed to half the space, leaving roughly 3,500 square feet available.